Blackmagic Design announced that MEPTIK, in association with Defacto Entertainment, is using DeckLink Duo 2 with Renewed Vision’s ProVideoPlayer 3 (PVP3) multi-screen media server to broadcast the National Basketball Association’s NBA 2K eSports league. The Blackmagic Design DeckLink Duo 2 provides PVP3 with capture and playback capabilities that allow for management of a large multi-camera shoot and graphics insertions for the live streamed games. The NBA 2K League is a professional competitive egaming league co founded by the NBA and Take-Two Interactive Software, which pits teams from each NBA franchise against each other playing the popular NBA 2K video game. Streamed live over Twitch to fans around the globe, the NBA 2K League’s studio, based in Brooklyn, includes 10 individual gaming stations and is shot in front of a live audience. MEPTIK, an Atlanta based experiential design agency, created a customized media server system for the league based on Renewed Vision’s PVP3 system. The PVP3 system is a Mac based software application designed to playback and manipulate video across one or more screens, and has been used by broadcasters, sports teams, live events and church productions and installations for more than a decade. The NBA 2K League’s PVP3 system is built around a single iMac Pro computer, and uses five DeckLink Duo 2 cards to provide all of the system’s capture and playback. 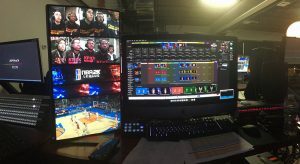 This system drives the majority of the video playback in the studio, including the league’s on set visuals, the cameras over each player, crowd shots, cameras looking at the gaming systems, game play, graphics and lower thirds. The combination of the Blackmagic Design DeckLink Duo 2 cards and PVP3 allows for the capability of doing all that through a single iMAC. The DeckLink Duo 2 is a PCI Express capture and playback card that features four independent bi-directional 3G-SDI connections and supports SDI formats in SD and HD up to 1080p60. 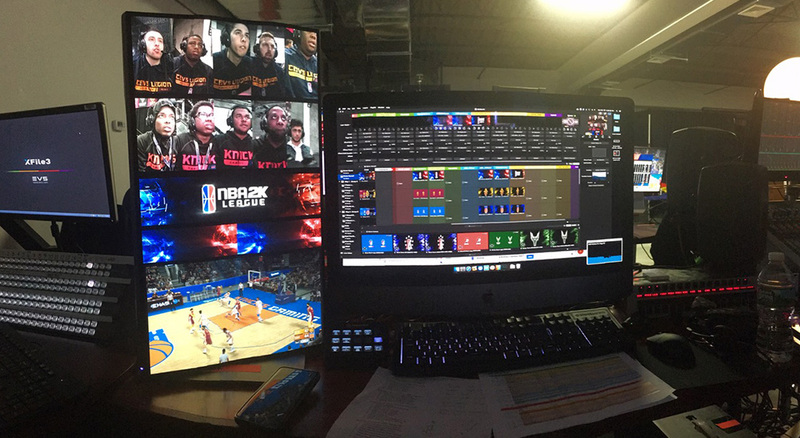 MEPTIK was able to use the flexibility of having four separate capture or playback cards in single unit, allowing them to customize the PVP3 system for whatever video needs the NBA 2K League needed.